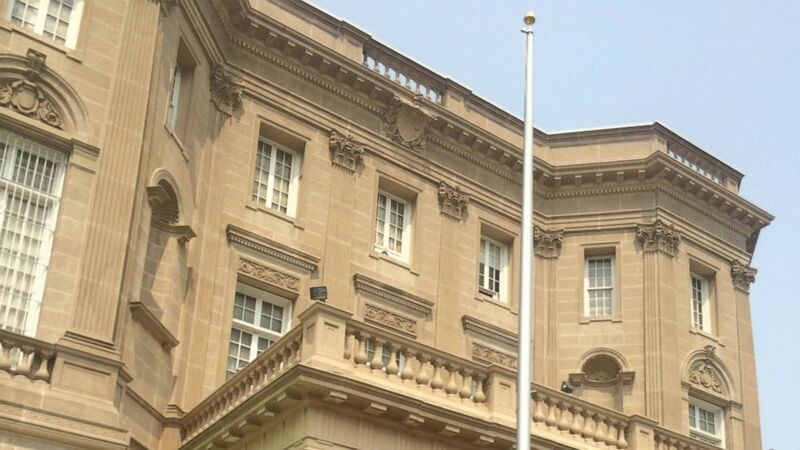 Este lunes la bandera cubana será izada en una casona de la calle 16 de Washington, D.C. Poco después, el secretario de Estado John Kerry viajará a La Habana para abrir la embajada estadounidense en la isla. Estos hechos representan la culminación de un notable giro en las relaciones entre Cuba y Estados Unidos. Sin embargo, la nueva era de la relación no es un triunfo de negociadores secretos o una estrellita en el legado del presidente Barack Obama. Su administración no está respondiendo sólo a cambios demográficos en Florida, está actuando además como consecuencia de un esfuerzo latinoamericano —iniciado hace décadas y últimamente exitoso— para modificar la política de Estados Unidos. Thanks to El Universal for permission to publish the English original. On Monday, the Cuban flag will be raised above a stately mansion on 16th Street in Washington, D.C. Not long after, Secretary of State John Kerry will travel to Havana to open the U.S. embassy there. These events represent the culmination of a remarkable turn in U.S.-Cuban relations. However, the new, developing U.S.-Cuban relationship is not just a triumph for secret negotiators or a gold star in President Obama’s legacy. The Obama administration dramatically was not only heeding demographic shifts in Florida. It was responding to a decades-long, and ultimately successful, Latin American effort to change U.S. policy. It is too early to be in Plaza Garibaldi, located in the heart of Mexico D.F., Mexico’s sprawling capital. The sun is just beginning to set on a Tuesday, so mariachis and revelers only dot the plaza, instead of packing it with colorful characters like a page from “Where’s Waldo.” Instead of the weekend din of a hundred simultaneous ballads, the chords of lonely guitars and the verses of solitary crooners drift upwards to the terrace bar of the Museum of Tequila and Mezcal (MUTEM), where I take in the scene. Men in ornate charro outfits try to sell serenades to passersby. Jarocho duos in white suits carry harps and hope for a gig. 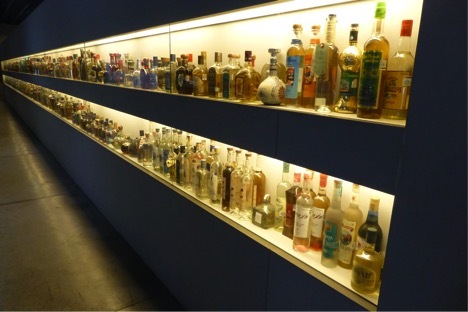 A display case at the Museum of Tequila and Mezcal in Mexico City. The scene is unmistakably Mexican. In one corner of the storied plaza is the Salón Tenampa, a bar that has for nearly a century served as a mariachi mecca. It is the anchor of Plaza Garibaldi and the surrounding multitude of cantinas, which range from touristy to seedy. In fact, it is much more than just another cantina —Tenampa was a destination. Following a larger Mexican social pattern of urbanization and northward migration that stretched from the country’s southwest coast to Los Angeles, mariachi music moved from the countryside of Jalisco to the north of Mexico at the turn of the 20th century. Both Tenampa and the music it helped popularize are awash in another most Mexican of traditions — tequila, and its less internationally recognized cousin, mezcal. Read the rest over at War on the Rocks! On December 15, 2014, I presented a paper in Havana at a “series of conversations” on U.S.-Cuban relations. That paper looked at the role of Panama, host of the April 2015 Summit of the Americas, as a potential facilitator of U.S.-Cuban dialogue. If I had subbed in Canada or the Vatican for Panama, I would have looked much smarter two days later when, to our surprise, Presidents Obama and Castro announced a prisoner exchange and move to re-establish relations. 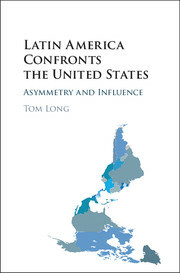 A new book on U.S.-Latin American relations, coming in November 2015 from Cambridge University Press.